The U.S. is ranked by Numbeo.com as one of the top 25 most expensive countries in the world in terms of cost of living. That means there is a huge number of alternative countries where you could potentially reduce your living costs, and in many instances quite drastically. A 2015 report by the U.S. Government Accountability Office says that "most households approaching retirement have low savings," meaning that many Americans could struggle in retirement. 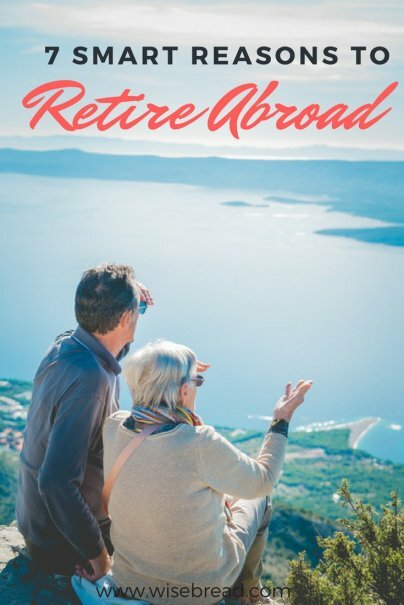 Along with a decrease in expenses, moving abroad could also bring you a higher standard of living than you'd achieve by staying in the U.S. Perhaps you dream of living by the beach, having help around the house, pursuing a pricey hobby, or being able to afford private nursing as you grow older. These may not necessarily be things you'd be able to afford at home, but could well be within your reach by moving abroad. As an example, I'm currently living in Koh Samui, Thailand. Just the other day I spent $10 on a wonderful one-hour massage on the beach and I had a delicious organic meal at a beautiful yoga retreat for just $11. These types of experiences would have cost me a lot more in the U.S.
A driving factor for a lot of retirees who decide to settle abroad is the promise of better weather in other countries. For many, people a cold climate and dreary weather are harder to cope with as they get older. There are plenty of places with tropical climates where you can expect blue skies and consistent heat, regardless of the month. As we get older, the price and quality of medical services available to us naturally becomes a bigger concern. The cost of health care in the U.S. can be so expensive, it can drive you into medical debt. Many overseas retirement hot spots have excellent, affordable health care systems that are easily accessible. There are various options for how to pay for health care when you're abroad, and, depending on your circumstances, each has benefits and drawbacks. An international medical insurance policy is often the safest bet, as it provides comprehensive international coverage. This is ideal if you plan to travel. However, be aware that these policies often don't include treatments back in the U.S. so it's unlikely you'll be covered during visits home. Single country medical policies are available for if you're planning on staying solely in your chosen country and not traveling abroad. Nobody wants to look back on their life and have regrets over the things they wish they had done, but never managed to. As a retiree you've most likely worked hard over the course of your career and potentially even sacrificed some of the aspirations that you had when you were younger. No one knows exactly how retiring abroad will turn out, but one thing is for sure: It will be a great adventure. It will give you the opportunity to start afresh and live the life that you've always dreamed of. With all of the free time you'll have, the opportunities to travel, explore, and meet new people from a new culture are endless.